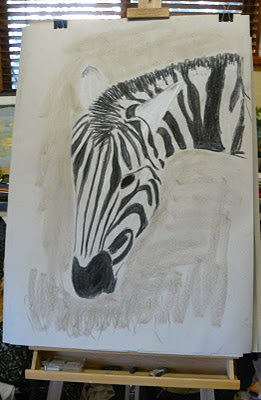 Inspired by a visit to the Western Plains Zoo at Dubbo. Would love to do more with those stripes. Will doa couplw of more drawings and see where it goes.